Directory Cincinnati Test Systems, Inc.
Cincinnati Test Systems leak test instruments address all your leak testing needs from the Sentinel line of instrumentation. Each instrument is designed with specialties in leak testing which include pressure decay, mass flow, differential pressure decay, pressure monitoring, and vacuum capabilities. Each instrument is calibrated for high precision with repeatable measurements and since each instrument can switch language with a simple on screen selection, they are a worldwide solution to every testing application. The Sentinel Blackbelt Pro instrument supplied as a benchtop or wallmount design is a multi-test, multi-port, multi-channel test instrument. The instrument manages and simultaneously executes up to 4 part tests, at different stations, and all under the control of one Blackbelt Pro instrument. Testing can be simple with all stations the same or it can be complex with leak and flow, pressure, and vacuum testing in one instrument with simultaneous or sequential test capabilities. The Sentinel Blackbelt instrument is a precision multi-functional bench top leak test instrument that can be specialized for any wall mount application. The bench top Blackbelt is designed for maximum performance with pressure decay, vacuum decay, mass flow, and other pressure testing capabilities while utilizing minimal space. The easy to use operator interface and forward mounted test ports make it an ideal instrument for medical device and clean room test applications. With its multiple testing capabilities the Blackbelt instrument is ready to be used in all testing projects. The Sentinel I28 is CTS’s most versatile panel mounted leak test instrument configurable to a wide range of testing applications. The I28’s array of selectable digital inputs and outputs provide tooling motion and feedback capabilities allowing this instrument to drive a test stand with 5 tooling motions replacing the need for a PLC. With its quality minded modular design and standard manifold configurations this instrument will function flawlessly for over 40 million cycles. The Sentinel C28 series of leak test instruments offer an unbeatable combination of advanced features, precision pressure testing, and value. These instruments utilize the same proprietary test algorithms and advanced 32-bit processor as the Sentinel I28 and Blackbelt, giving it the same fast, repeatable results in a more compact package. The C28 series of instrument supply pressure testing, pressure decay, vacuum decay, and differential pressure decay testing capabilities. The Sentinel C20 leak test instruments supply our cost conscious customers with the same precision pressure testing, proprietary test algorithms, and advanced 32-bit processor as our other Sentinel instrument. 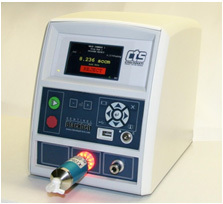 The low cost value of the C20 supplies highly repeatable test measurements for those customers that do not need various testing capabilities but want the same quality service supplied by CTS for all products. 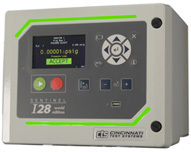 Cincinnati Test Systems (CTS –Harrison, Ohio) has designed the TracerMate CS - Tracer Gas Evacuate and Charge instrument to interface with various Multi-gas leak detector instruments. The standalone bench-top design is easy to operate and is offered as an optional self-contained test cart, or as a customized solution to integrate easily into your production testing environment with your selected Tracer Gas detector. The TracerMate CS testing modes provide the option to sniff test 20 different part locations. With each test cycle the system supplies the user with gross leak testing capabilities during the evacuation and/or fill cycles reducing trace gas contamination. During any of the 99 different testing cycles the system will conduct either accumulative leak testing or singular sniff testing with Accept or Reject signals accordingly. 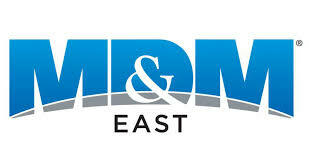 For more information contact Cincinnati Test Systems, Inc. CONTACT CINCINNATI TEST SYSTEMS, INC.